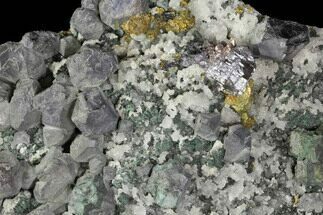 This is a small specimen containing an aggregation of cubic galena that's encrusted in a mixture of small, sparkling chalcopyrite and dolomite crystals. The large galena cube is .75" wide. 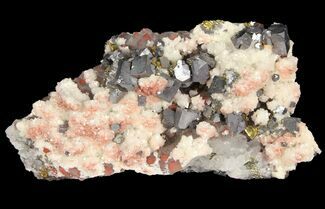 This mineral association was collected from Reynolds County, Missouri. 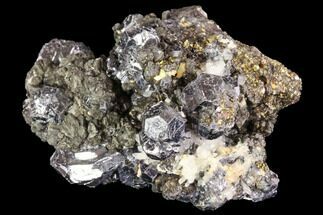 Galena is a lead based mineral that is in fact the primary ore of lead, and has been used for its lead content for thousands of years. 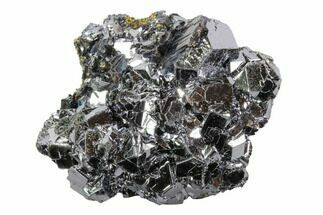 Galena typically displays a gray metallic luster and forms cubes or octahedral crystals. 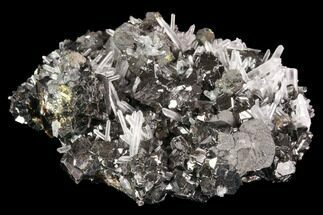 The chemical composition of galena is PbS. 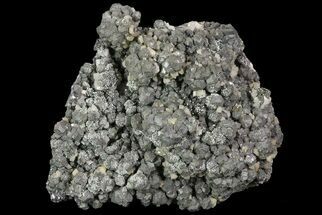 Dolomite is an anhydrous carbonate mineral composed of calcium magnesium carbonate—CaMg(CO3)2. 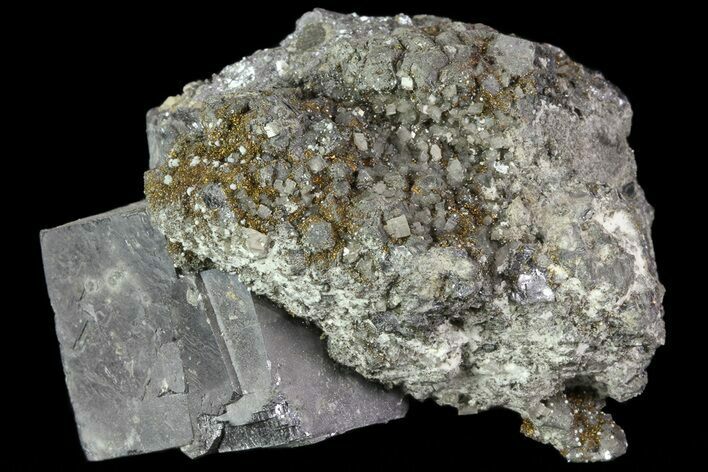 The mineral dolomite crystallizes in the trigonal-rhombohedral system. 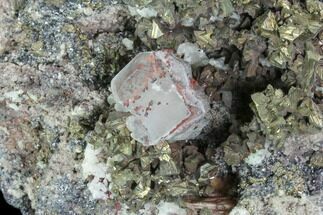 It forms white, tan, gray, or pink crystals. 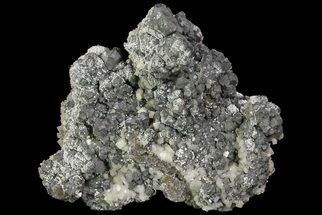 Dolomite is a double carbonate, having an alternating structural arrangement of calcium and magnesium ions. It does not rapidly dissolve in dilute hydrochloric acid as calcite does. Crystal twinning is common. 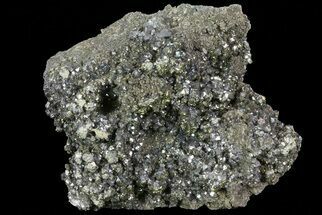 The mineral dolomite was first described by Carl Linnaeus in 1768 and In 1791, it was described as a rock by the French naturalist and geologist Déodat Gratet de Dolomieu who first recognized the material in buildings of the old city of Rome, and later as samples collected in the mountains known as the Dolomite Alps of northern Italy.